He is in trouble, again, the dog, a german, is there with catnip. The vizsla has a possibility, but that stoned dog is too much, I suppose. 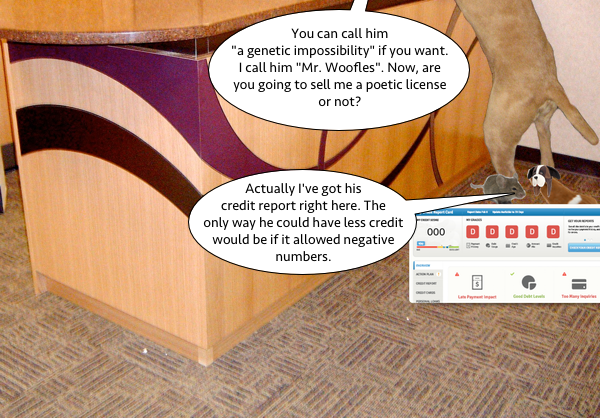 Sell the young “man” a poetic license! And throw in one for his pig/dog mix. Sheesh. Picky. Picky. Picky. 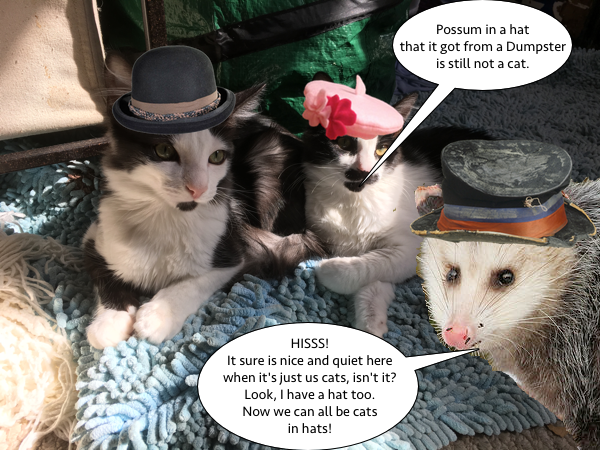 The kitties have great poems. 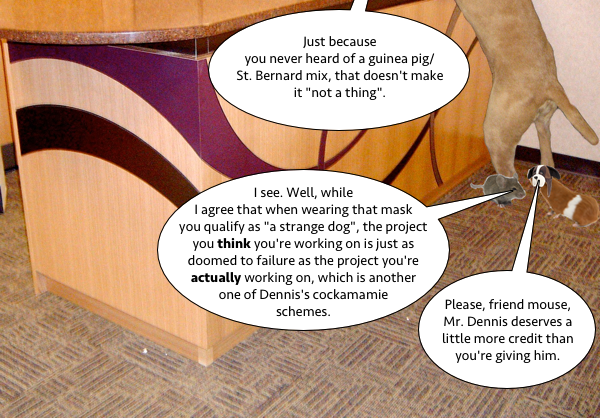 I really hope Dennis gets his poetic license soon….those people ask too many questions. I think that’s a darn good counter argument! 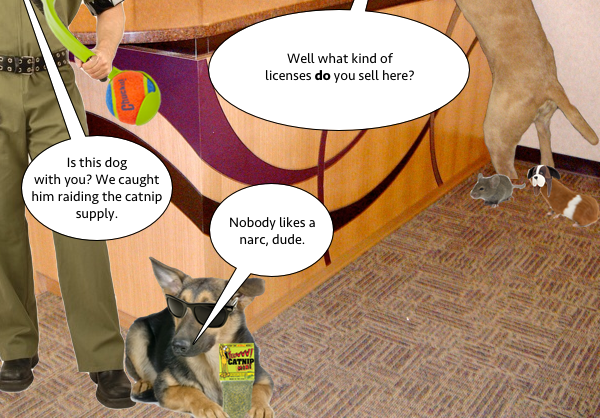 We don’t think you’re ever gonna get that poetic license (mom laughed at the narc line)! Oh Dennis….we sure hope you don’t end up back in jail! 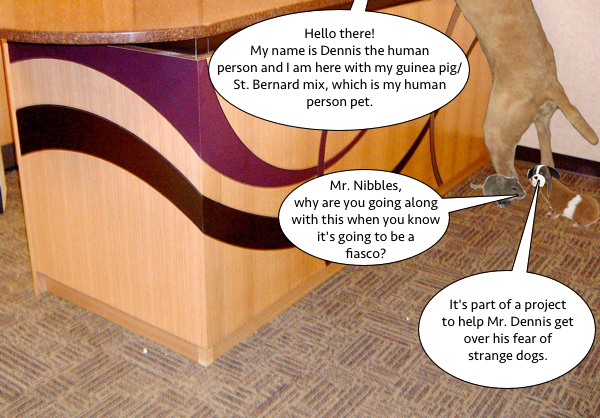 Well, let’s hope Dennis doesn’t have to buy a dog license for his guinea pig/St Bernard pet. Poor Denise, still trying to get the poetic license. Keeping trying. Stopped by, and saw a dog and the word destruction. Couldn’t resist. Funny!